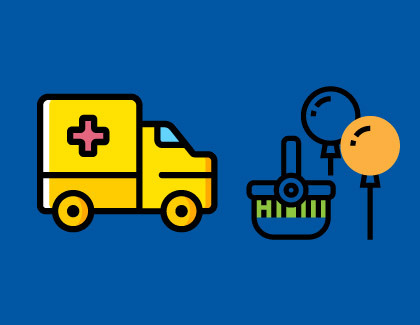 Healthcare fundraising is what helps keep hardworking hospital and medical center operations up and running — and let’s face it: what’s more vital than maintaining our healthcare facilities? To get to the heart of it, healthcare fundraising enables these institutions to pay their business costs, and more importantly, develop their facilities to better serve the needs of patients. Ultimately, a generous donation to a healthcare facility can go a long way in bettering the lives of both patients and medical professionals. Download our FREE Grateful Patient Whitepaper. Who Are Your Healthcare Fundraising Prospects? 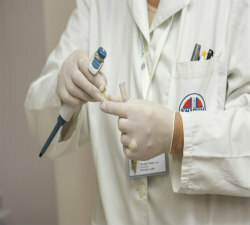 Get 200 patients screened for free! Receiving donations for a healthcare institution’s annual fund can be difficult because, oftentimes, there isn’t a specific, tangible cause for donors to support. Creating an online donation form and marketing it in donation-related materials. 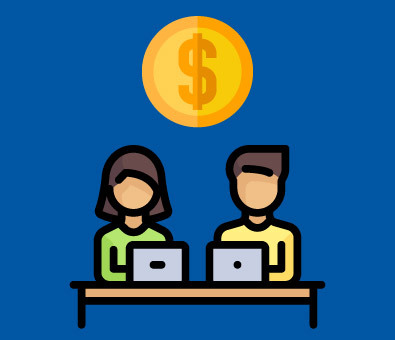 Introducing payroll deductions for employees. Segmenting prospect data and sending targeted communications to acquire new donors. 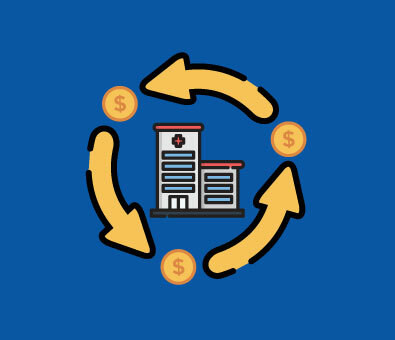 These fundraising strategies help healthcare facilities raise general funds that are then dispersed to individual areas in need. 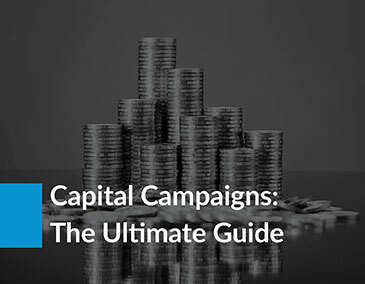 On the other hand, capital campaigns are often used by healthcare facilities to raise money for specific programs, pieces of equipment, or facility renovations. A compelling case for support. A strong and coherent development strategy. Demonstrated support from volunteers, staff, and board members. Hospitals will perform research and solicit donations from high-profile prospects during the “quiet” or planning phase of a capital campaign before moving forward. The most popular (and successful!) way for hospitals to obtain major gifts is by organizing a stellar grateful patient program. These programs allow patients who are currently under a hospital’s care or recently discharged to show their gratitude by making hearty donations to the facility. To better identify prospects, healthcare organizations can perform daily patient screenings to help form lasting relationships with ideal donors. Planned gifts — when handled appropriately — can serve as moving gestures on behalf of a grateful patient or healthcare professional looking to make a major investment in a medical facility. Planned giving refers to donors setting aside funds in advance for healthcare philanthropy purposes. 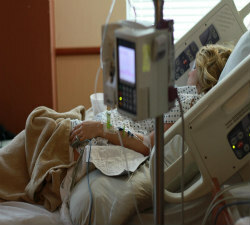 Donors typically accomplish this by allocating hospital funds in wills or trusts as well as donating life insurance policies. 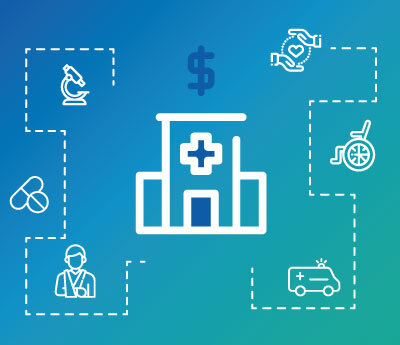 To secure the funds they need, healthcare facilities will sometimes resort to taking payroll deductions from healthcare staff to cover important costs. These pay cuts can range from small to significant depending on the hospital’s financial needs and ultimately reflect staff and patient best interests. To ensure your medical institution’s payroll deductions and other fundraising measures are up to ethical standards, check out our healthcare philanthropy best practices. Your development committee is who will ultimately champion your healthcare fundraising initiatives. Led by your hospital’s executive or development director, this team is responsible for developing a case for support for capital and annual campaigns and putting them into action. They also take the lead in soliciting gifts from grateful patients, doctors and nurses, healthcare employees, and corporate sponsors for fundraising events. If you want any level of success, it is critical that you hire the right team to accomplish your fundraising goals. Those you hire should understand your hospital’s culture, knows the ins and outs of medical philanthropy, and have a strong, diverse fundraising background. While a development committee focuses on fundraising campaigns and events, your major and planned giving officers devote their efforts to collecting large donations for your hospital. Conducting prospect research and organizing your donor management system. Cultivating and maintaining donor relationships. Your major and planned giving officers need to have superior fundraising and management skills in order to properly execute their duties. They need to be able to build and develop key relationships with major donors while still meeting department goals and coordinating with the development committee. While hospital admins aren’t directly involved in fundraising, they’re essential for developing grateful patient programs and other fundraising measures. You’ll need their support to collaborate on building grateful patient programs and fundraising development. Their priorities should align with your facility’s fundraising priorities. In order to have grateful patients, you need patients who are grateful for their whole hospital experience, from the minute they come through your doors. To ensure that happens, your hospital administration will be pivotal in setting the right tone for all staff. As natural ambassadors of your healthcare facility, doctors and nurses can help grow your fundraising efforts while having one-on-one time with patients. While doctors and nurses should not actively solicit donations (and many would be uncomfortable doing so), it’s their obligation to point a grateful patient in the right direction when asked about ways to give back. When considering the big picture, doctors and nurses are who your patients interact with most. 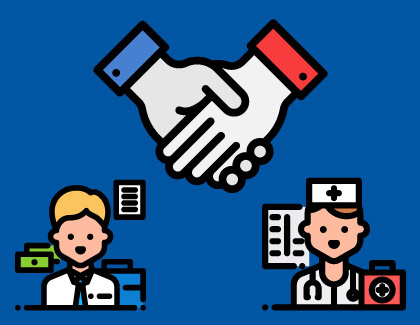 While hiring top-tier doctors and nurses is crucial for a myriad of reasons, grateful patient programs certainly prosper in hospitals where patients bond with staff. Physicians often give life insurance donations or large endowments to departmental medical causes (think: Cardiologists donating to a coronary heart disease program). Hospital Employees are more likely to contribute time, publicity, or donations to support fundraising events as well as invest in hospital merchandise. Grateful Patients should only be solicited after they’re released from the hospital, usually with mailed materials or contact from staff (if the patient expressed an interest in giving). Corporations are more likely to sponsor a fundraising event for publicity or supply challenge grants for capital campaigns than make a major giving donation. Healthcare Foundations are likely to give if a hospital’s programs align with their priorities and goals (think: Leukemia and Lymphoma Society giving funds to support blood cancer research). Communities may give in memoriam of a patient or in gratitude of a patient’s recovery. 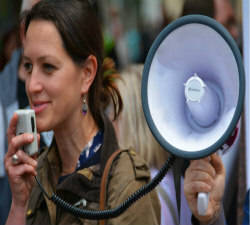 They may aid your hospital in running a fundraising event or launch their own. Families of patients are also likely to give to your hospital as a show of gratitude for your work. Families might even crowd-source a fund to donate in the patient’s name. 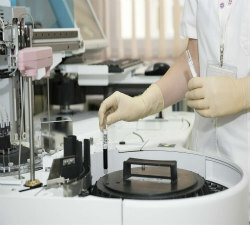 Grant making organizations are strong prospects, especially if they often give to hospitals and medical institutions. Make sure any grant proposal you write is well-researched. 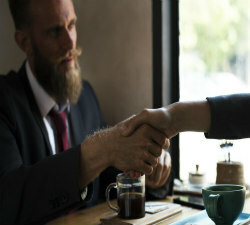 Business professionals are likely candidates for giving because they tend to the financial means to give. Additionally, many professionals work for companies that will match their donations. Why is Prospect Research Important for Healthcare Fundraising? Prospect research is instrumental to your organization’s healthcare fundraising because it efficiently targets ideal donors for you to reach out to with personalized giving strategies. DonorSearch’s Giving Search tool and Charitable Giving Database. 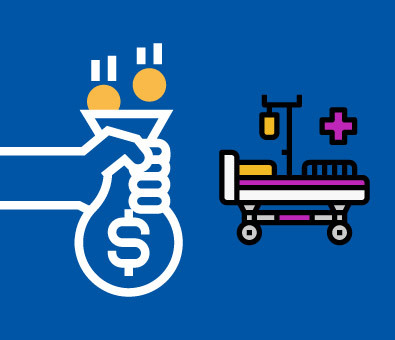 By uncovering healthcare prospects’ philanthropic and giving histories, your medical institution can craft tailored solicitation strategies, encourage recurring gifts, and establish lifelong bonds with major donors. How can we implement prospect research into our healthcare fundraising strategy? Daily patient screenings allow hospitals to analyze giving data and monitor notable patients as prospective donors. Because patients are typically in and out of healthcare facilities, daily screenings allow your hospital to better keep track of current and discharged prospects. In return, patients appreciate the extra care and attention from your healthcare facility and become more receptive to giving relationships and opportunities. 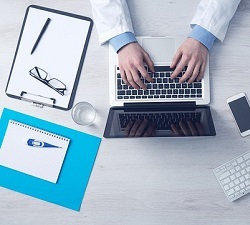 Prospect screening services are perfect for healthcare facilities just starting out with prospect research or looking to manage prospects more efficiently. These professional tools and services are designed to help you grow valuable donor relationships and filter through donor data. Prospect research consultants and screening companies offer services like wealth and bulk screening to help you analyze prospect giving potentials. In-house prospect research refers to a group of prospect researchers performing screenings on your healthcare facility’s behalf. 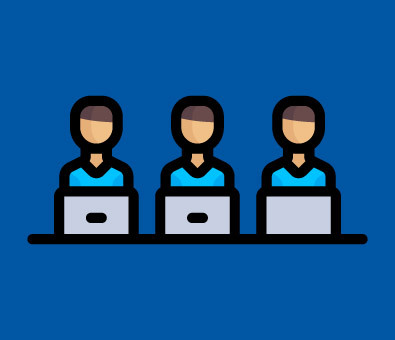 These professionals are usually enlisted by mid-to-large organizations to manage massive pools of prospect/donor data and free up other staff members’ time. An in-house prospect research team will have similar expertise as an outside prospect researcher, but with the added personal tie to your institution’s mission and fundraising goals. A fundraising event is a great way to generate public awareness for your healthcare fundraising cause as well as directly interact with prospects, donors, and volunteers. Brand your event with visuals and merchandise. Promote digital donation methods like text-to-give. Use fundraising event software to manage details. Follow up with donors and prospects after the event. 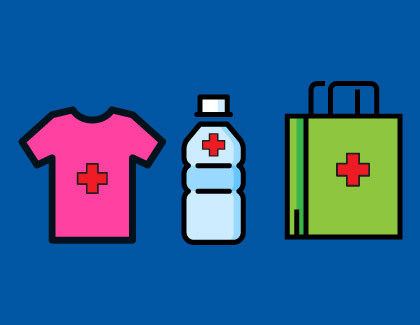 Selling merchandise goes hand-in-hand with organizing a killer healthcare fundraising event. Use this opportunity to promote your healthcare institution’s mission, brand, and online presence as well as a corporate sponsor’s brand. Unlike social media or emails, merchandise provides your supporters with a tangible reminder of their involvement with your healthcare fundraiser, which can do wonders for encouraging donations and philanthropic aid. Get ideas for healthcare fundraising merchandise with Boston Children’s Hospitals’ gift shop products, including plush animals, branded clothing, indoor games, and more! Capitalize on corporate philanthropy to spark more publicity and major donations and support for your healthcare fundraising cause. Partner with businesses that offer matching gift programs to double sizable funds for your healthcare fundraiser quickly and easily. You can also seek out challenge grants from foundations or corporations to diversify your fundraising strategies and rally your fundraising team together to secure rewarding funds. 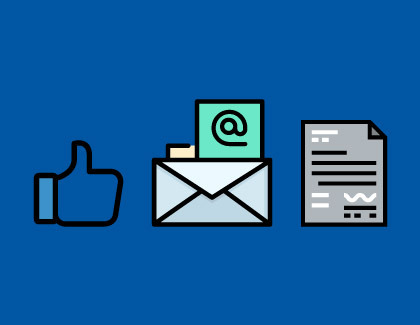 Sending regular updates is crucial for keeping your loyal supporters and top prospects in the loop with your healthcare fundraising initiatives. These updates should be featured in your donor stewardship program to strengthen existing donor relationships while cultivating new ones. Your hospital or medical center can accomplish this through both online and offline tactics like: social media, e-newsletters or e-blasts, print flyers and brochures, and personalized mailed letters to donors. The Health Insurance Portability and Accountability Act (HIPAA) is a legal measure that protects a patient’s medical records and healthcare information against use in hospital fundraising without their consent. 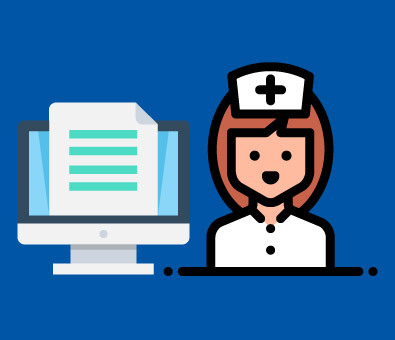 How Can You Ensure HIPAA Compliance? Due to the standard doctor-patient confidentiality agreement, it’s imperative that your medical institution receive written consent on certain patient details to be promoted in a fundraising campaign. To protect your patients’ privacy through HIPAA, maintain clear communication between your fundraising team and legal team, as well as fundraiser familiarity with HIPAA guidelines. Don’t forget to factor in the possibility of a patient opting out of an agreement with your healthcare organization for lending their PHI for your fundraising purposes. 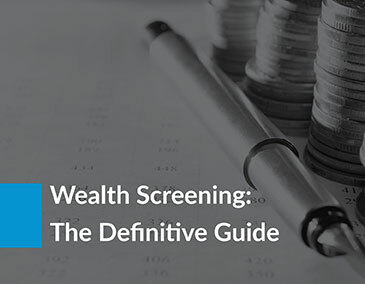 Wealth screening is a surefire technique for helping your healthcare organization assess prospects’ financial giving capacities. Discover wealth screening tools, donor data, best practices, and more with DonorSearch’s master guide! 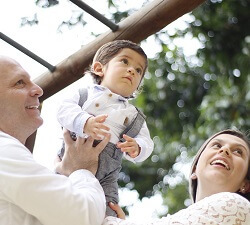 Learn the ins and outs of wealth screening! Your annual fund can make all the difference in coordinating daily fundraising initiatives as well as long-term campaigns and events. 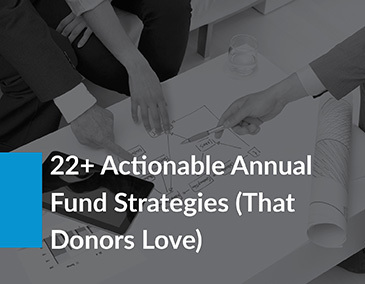 Secure more funds by strengthening ties with your donor demographic with DonorSearch’s 21 annual fund strategies! Grow your annual fund with these top tips! When it comes to raising funds for vital healthcare needs, no fundraising method is as effective as a capital campaign. Study up on capital campaign planning and execution strategies with Aly Sterling Philanthropy’s definitive guide! Rock your next capital campaign!